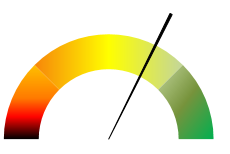 Use Calibrate Legal’s Measurement Readiness Assessment Quiz to help you gauge your firm’s readiness for formal marketing measurement. 1. 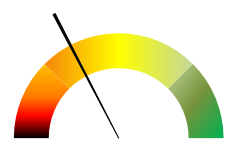 Give your firm a score of 1-5 for each of the “readiness indicator” questions. 2. After you complete the questionnaire, you’ll see an assessment of your firm’s readiness based on your answers. You’re not in a position to start a formal measurement program. Start by reviewing the work you are doing today, and documenting it in business processes. Research ways to measure marketing processes and decide what approaches are relevant for your team. For advice on marketing measurement, contact Calibrate Legal. 20-49: You’ve made some progress. Pick a few things and do them well. Identify a few programs/campaign and create pilot metrics for them. Test the pilot metrics with your stakeholders. If you don’t have a handle on client data, work with IT to understand what’s available. Build your business case for investment in systems and technologies that will support marketing measurement. 50-79: You’re getting there — build on what you have achieved. You have many of the necessary elements in place for sound marketing measurement, Look closely at the processes / data you are measuring today and establish formal performance metrics for them, think about how you can attribute your team’s activity to revenue. 80-100: You already take marketing measurement very seriously. Move forward! You likely have everything you need to create a sophisticated marketing performance measurement system that will provide insights on Marketing / BD activities, operational efficiency and revenue contribution. We continuously monitor Key Performance Indicators (KPIs) for our firm’s marketing/BD activity. We set goals and measures for our campaigns and programs. We are able to measure and report on the operational efficiency of our marketing/BD team. We have access to reliable data sources on all aspects of our marketing/BD activity. We document our key marketing/BD processes and measure the efficiency of each one. We have a continuous improvement routine in place for all marketing/BD processes. We formally define policies and procedures, job descriptions, and organizational roles for marketing. Marketing/BD projects, programs, campaigns and other initiatives track back to the firm’s business goals. We partner with our firm’s Technology team to access and leverage client data for marketing/BD purposes. We are able to access and report from a CRM database with details on clients, contacts, relationships, interactions and opportunities. We are confident in the accuracy, completeness, and timeliness of our firm’s client and contact data. Our people understand how to track and measure the performance of marketing/BD campaigns and programs. Our people have the skills to extract, transform, and manipulate marketing data to produce relevant reports. We formally mentor and develop our talent to identify top performers and build succession plans. Our people have the capacity and commitment to add marketing measurement routines to their daily work. We use systems and technology to help us plan projects, schedule/coordinate activity and manage our team’s resources. We maintain an up-to-date portal with the most current version of all marketing and BD collateral. We have a integrated Campaign Management System (CMS) that we used to create and measure campaigns. We currently measure and report on tactical marketing activity (email opens, website visits, social media engagement, etc. ).